Ultrablock makes designing concrete walls easy with its lego-like blocks. Ultrablock units offer an easy-to-build, structural retaining wall that provide versatile, economical and aesthetically pleasing options. 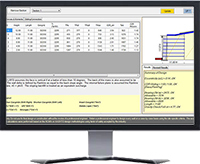 Ultrawall software offers designers / engineers the opportunity to analyze a multitude of project scenarios quickly and easily. For more information on Ultrawall Software check out our software page. 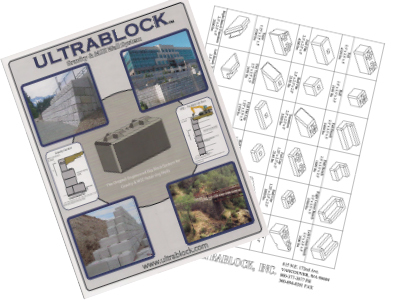 Ultrablock offers 18 types of various blocks for unique wall designs to meet project needs. To get block dimensions and weights visit our block library. Need specification and installation information to help design your ultrablock wall? 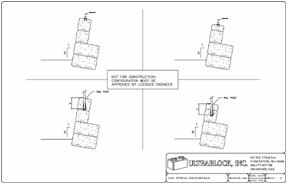 Check out the Ultrablock details for retaining wall application drawings.